My Son Made Me a Puck Stand with a Polaroid 3D Pen - Marie Moreton. Author and Affiliate. I once ordered a Polaroid 3D Pen from Menkind for my son's birthday and I was impressed both with the service from Menkind and with the product. I ordered the Polaroid 3D Pen from Menkind's website. Ordering was very easy and straight forward. I was given the option to have the pen delivered straight to my son's address. Soon, my son received his gift at his address, exactly when Menkind said it would be delivered, well and appropriately packed and in perfect condition and working order. Also, Menkind kept me informed of the processing of my order regularly, all the way from when I placed the order to the time it was due to arrive at my son's address. Mon son loved the Polaroid 3D Pen, he said that it was a fascinating way to create a work of art, like drawing in the air. He explained that he was creating his works of art by first creating a base, then building up from that base he created his desired object. He reminded me that the pen draws with hot wax so it was important to follow and adhere to the safety instructions. 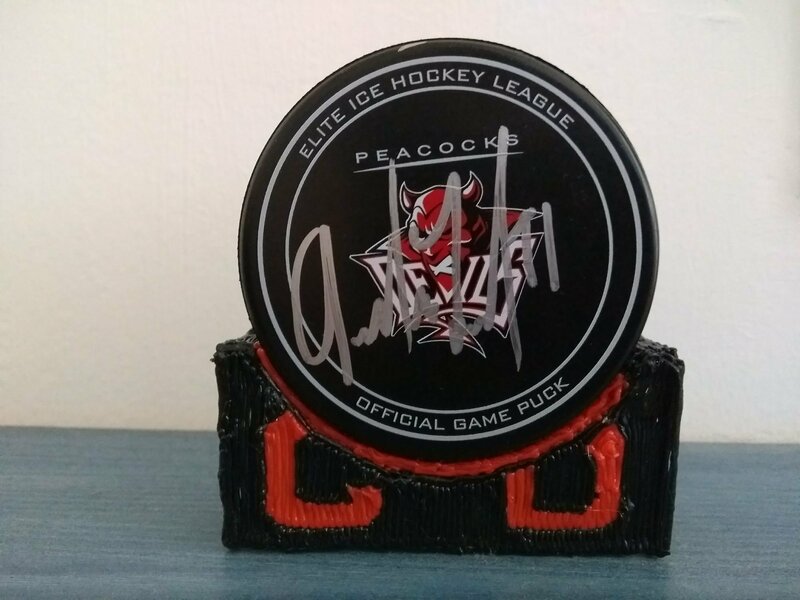 The following Christmas, as part of my Christmas gifts from my son, I received a puck stand that he had made for me with his Polaroid 3D Pen, along with a signed ice hockey puck; I loved it, it's a strong, sturdy, attractive work of art that holds my signed ice hockey puck very well. I recommend Menkind and their Polaroid 3D Pen to you. Here is the puck stand that my son made for me with it.